THE SCOOP: Fellow party people, we hope you are gearing up for the opening of Marquee Singapore. Come 12th April, their doors will finally be open and they’re not doing it quietly. 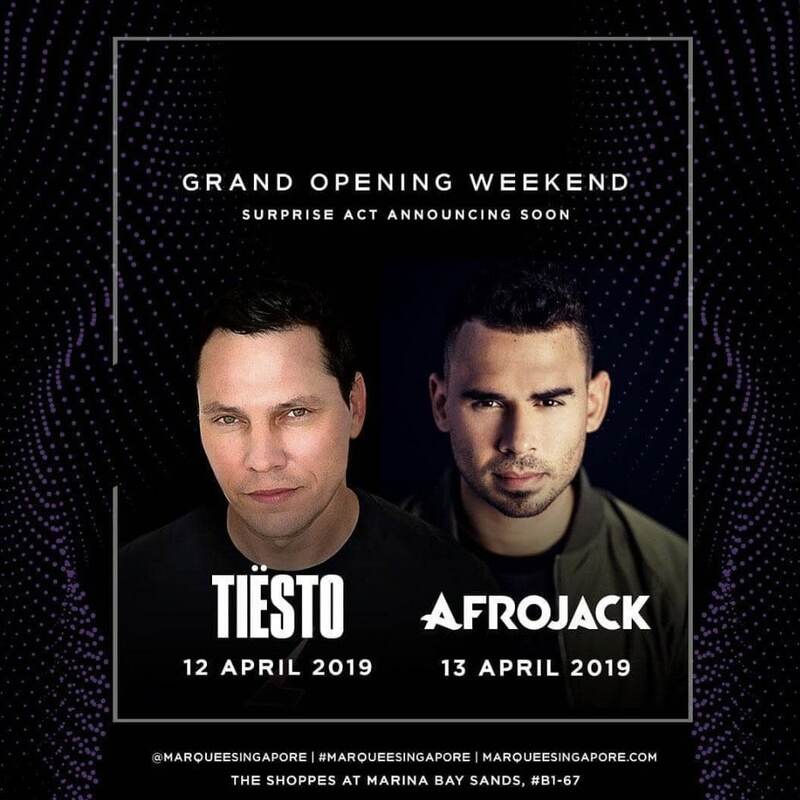 They’ve got some legends who will be hitting the decks including Tiesto and Afrojack on 12 and 13 April. The party will continue the following weekend where trance lovers get to party with Above & Beyond (April 19) and electro house fans will be going wild with, Steve Aoki (April 20). Limited general tickets will be sold at the door. Read more here.